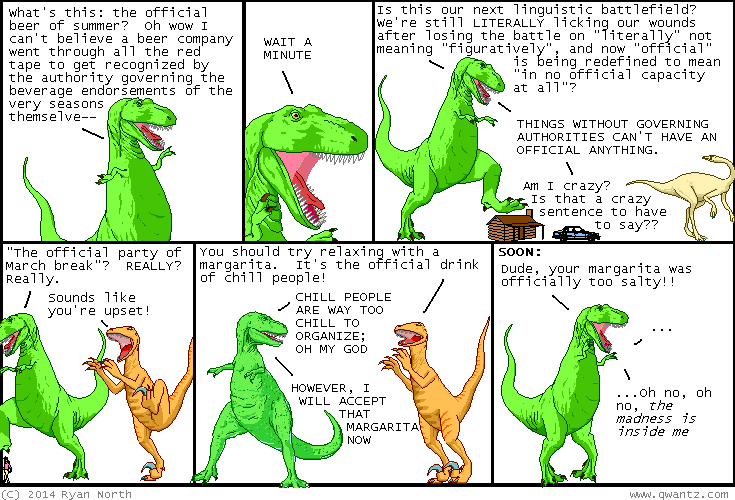 Dinosaur Comics - March 5th, 2014 - awesome fun times! –It's time for us to make friends with some pool-owning dudes!! March 5th, 2014: A reminder that I have created the last mug you'll ever need? ?